Pay-per-click (PPC) marketing is much different than organic search engine optimization (SEO), and is much easier to understand. In a nutshell, you are paying for each time someone clicks on one of your advertised keywords on one of the major search engines. You may choose to run PPC campaigns on all the major search engines, or maybe you would like to just focus on the biggest player, Google. The process of setting up a campaign consists of researching possible keywords and keyword phrases, creating your ads, and setting a bid amount you are willing to pay each time the ad is clicked. 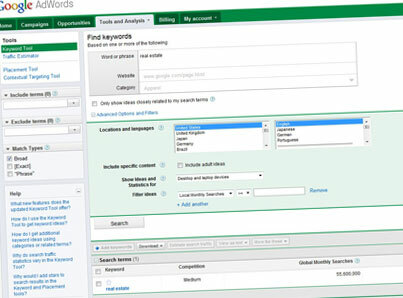 Virtuocities will then help determine the best keywords and keyword phrases for your campaign by using many of the tools available to internet marketers and SEO architects. We will help you compete with other businesses that are running similar campaigns, without draining your budget. We will analyze your click results using powerful web analytic tools, and determine how much impact your campaign is having on your business and your ROI. If adjustments are needed, we will help make them and track the results of the changes. Ready to start your PPC campaign? Contact us today!